A Grange Community Program, Wed. October 3, 7 p.m. The presentation, Wednesday, October 3rd, 7 p.m. at the Grange Hall in Woodinville, includes photos and intensive research illustrating how a dense forest tamed by homesteaders, loggers and sawmills became a lush valley of dairy farms and truck gardens cultivated by immigrant farmers from Italy, Japan and the Philippines. Find out more about Woodinville Heritage Museum programs and Heritage Society activities. Bring your questions as there will be time allotted for Q & A. 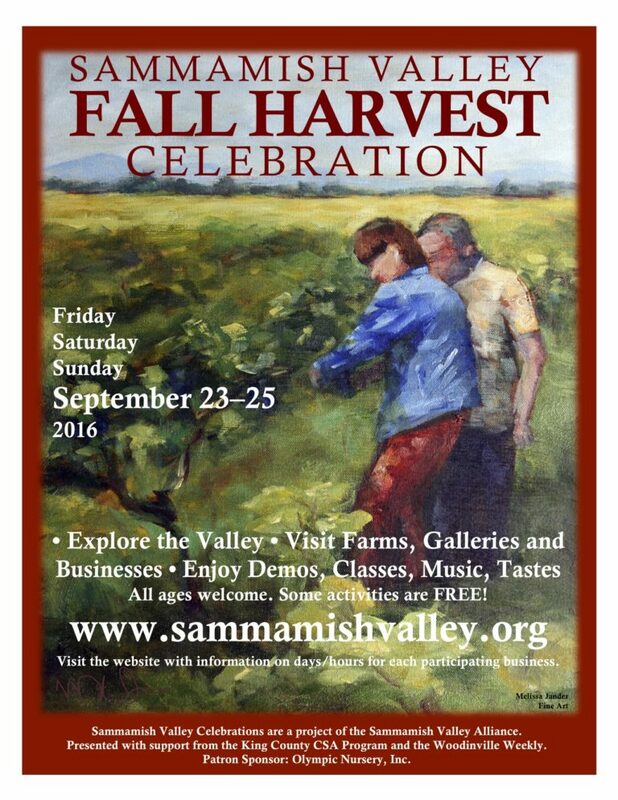 In tradition and service to the broader community, the Sammamish Valley Grange, located at 14654 148th Ave. NE, Woodinville, presents monthly programs free to the general public. Mark your calendars for the November 7th dual program, a presentation at 5:30 p.m. with Friends of the Sammamish Valley on farmland protection followed at 7 p.m. by the second annual roundtable discussion with local young farmers on “The Next Generation of Farming;” then the Holiday Gathering and Potluck will be held, Wednesday, December 5th at 7 p.m.
By working to improve the rural nature of the Sammamish Valley, the Grange shares its mission through educational outreach and neighborly engagement. For more information, please e-mail sammamishvalleygrange286@gmail.com.